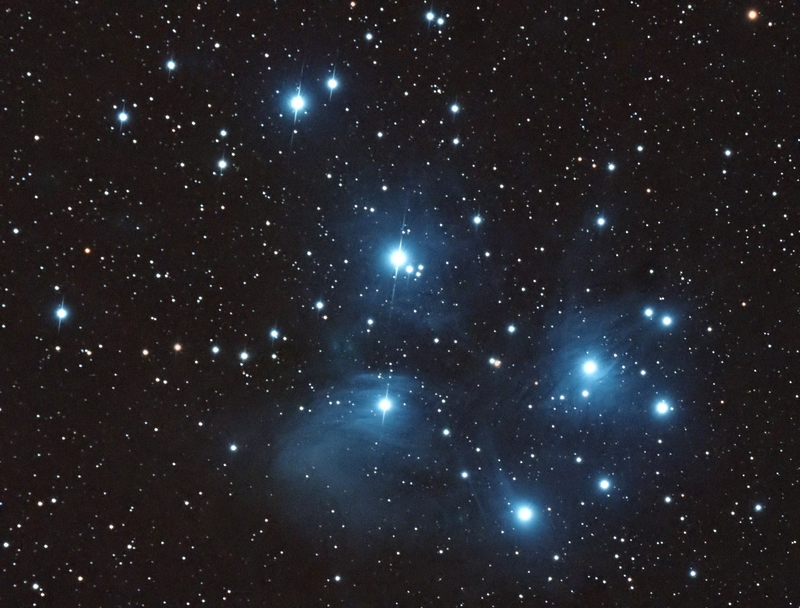 Due to cloud, this was only a 25 minute integration (5 x 5 mins) taken at ISO 800 with a Canon 60Da fitted with a Hutech LPS filter. Id hoped to get about 2 hours of data. 480/80mm refractor with x 1.0 field flattener ( a small bristle from a blower brush, accidentally stuck on, caused the diffraction spikes!). Ioptron ZEQ25GT mount with SSAG/PHD autoguiding. Backyard EOS camera control and PHD/Backyard EOS dithering. 18 darks and 40 flats (1/20s at ISO 800). Post-processed in PixInsight and Photoshop. Canon 5D mark II and a 70-200mm f4 IS L lens, wide open at f4. A single 30 second exposure on an alt-az mount. There was a lot of moonlight tonight and it was a bit hazy but I was keen to see M57, the ring nebula in Lyra. I also wanted to try out my 8×50 finderscope. I found the finder (!) very helpful. 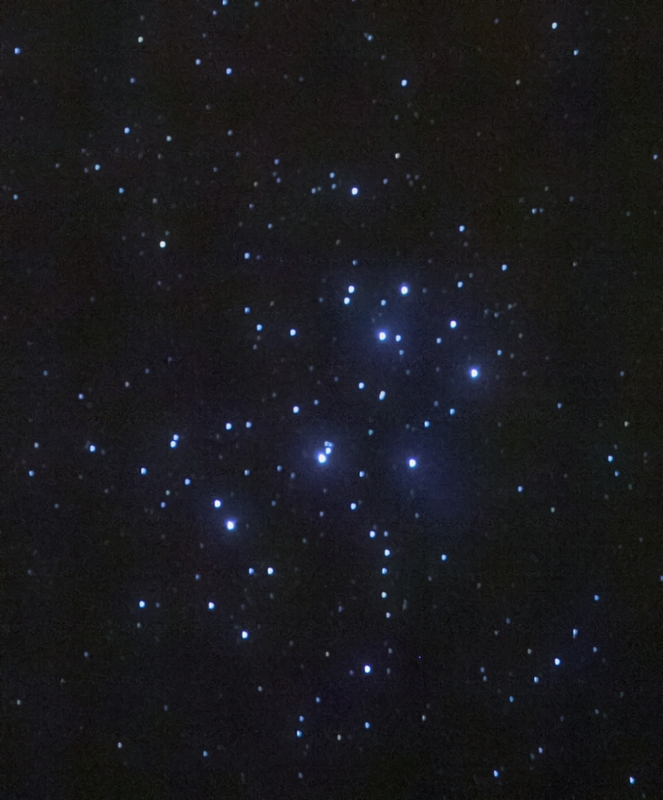 The GoTo took me straight to M57 but I was able to check that in the finder – it lies half way between beta and gamma Lyrae. I used a Baader click stop zoom plus a UHC filter – with averted vision, I could see a pale, small smoke ring (24 and 18mm stops) – but not the glorious colours seen in the famous Hubble image. With so much background light, I spent much of the evening looking at double stars such as beta Lyrae itself. M13 and M3 globular clusters looked dull with so much light pollution. 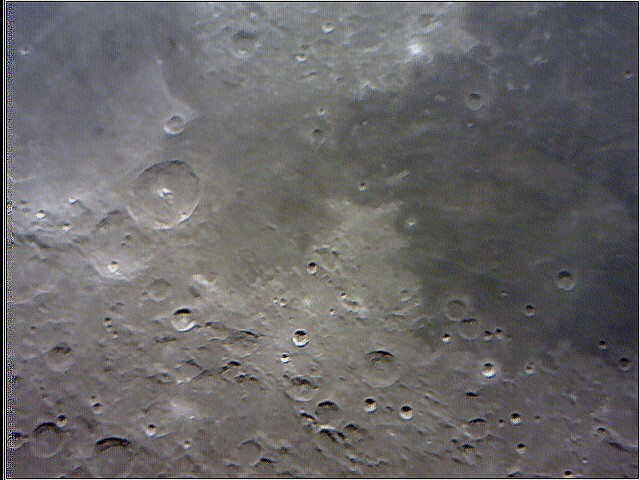 Earlier in the evening, I tried out my Vixen 5mm NLV eyepiece (x400 magnification) – great close-up lunar views. A nice specialist (planetary) eyepiece. A very cold night. Keen to use my new UHC narrowband filter – It gave amazing images of the Orion Nebula M42- I had read in books how the nebulous glow extended so far but tonight I really saw that for the first time – spectacular! I then went on a tour of Messier objects: M42 right up to M51, the Whirlpool galaxy – mostly they were open clusters. 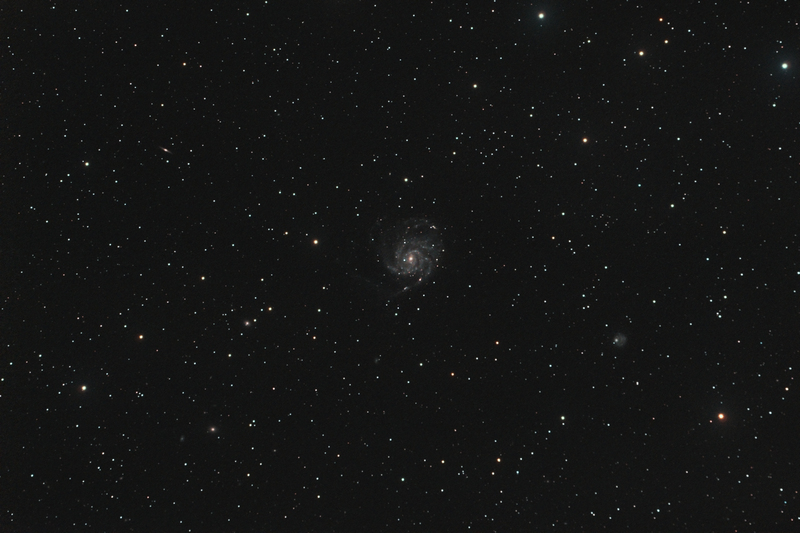 M52 in Cassiopeia was located somewhere behind my roof to the north so couldnt see it! Then tried 2 of the Virgo cluster of galaxies: M85 and M100 – I think the UHC was helpful in picking them out in terms of background contrast but didn’t add to detail seen. 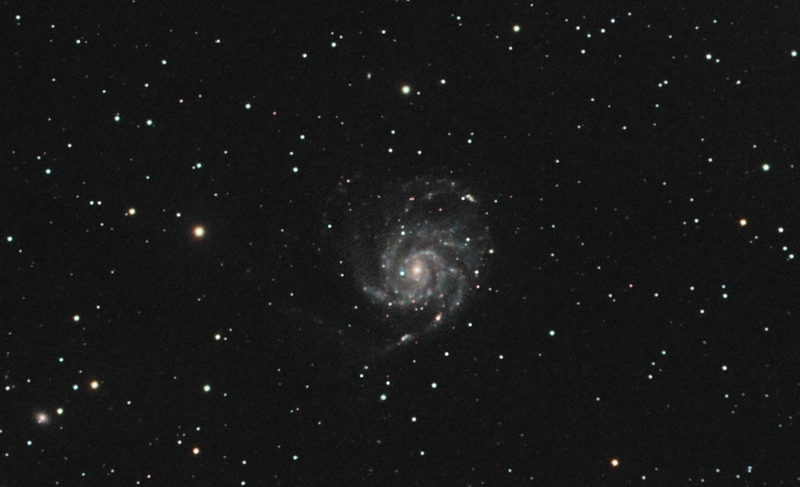 In terms of galaxies, I really must think about how to get better images (*) but filters are certainly very useful for nebulae.